Today... Sunny, with a high near 91. Southwest wind 5 to 10 mph. Tonight... Clear, with a low around 67. 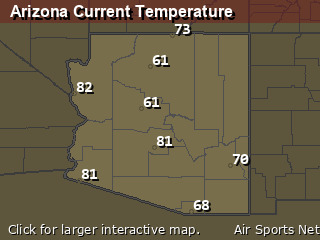 West southwest wind 5 to 10 mph becoming light and variable. Thursday... Sunny, with a high near 94. East southeast wind 5 to 10 mph becoming southwest in the afternoon. Thursday Night... Clear, with a low around 69. Southwest wind around 5 mph becoming calm. Friday... Sunny, with a high near 96. Breezy, with an east wind 5 to 15 mph becoming southwest in the afternoon. Winds could gust as high as 20 mph. Friday Night... Clear, with a low around 68. 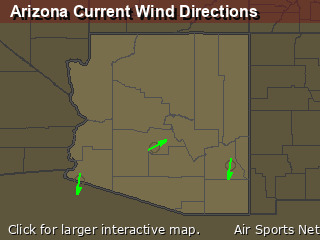 West southwest wind 5 to 10 mph becoming southeast after midnight. Saturday... Sunny, with a high near 93. Southeast wind 5 to 10 mph becoming southwest in the afternoon. Saturday Night... Mostly clear, with a low around 66. Southwest wind 5 to 10 mph becoming southeast after midnight. Sunday... Sunny, with a high near 92. Southeast wind 5 to 10 mph becoming southwest in the afternoon. Sunday Night... Mostly clear, with a low around 66. Southwest wind 5 to 10 mph becoming east southeast after midnight. Monday... Mostly sunny, with a high near 85. Breezy, with an east southeast wind 5 to 10 mph becoming south southwest 15 to 20 mph in the afternoon. Winds could gust as high as 30 mph. Monday Night... Mostly clear, with a low around 60. Breezy, with a south southwest wind 10 to 15 mph becoming light south after midnight. Winds could gust as high as 20 mph. Tuesday... Sunny, with a high near 83. South wind 5 to 10 mph.